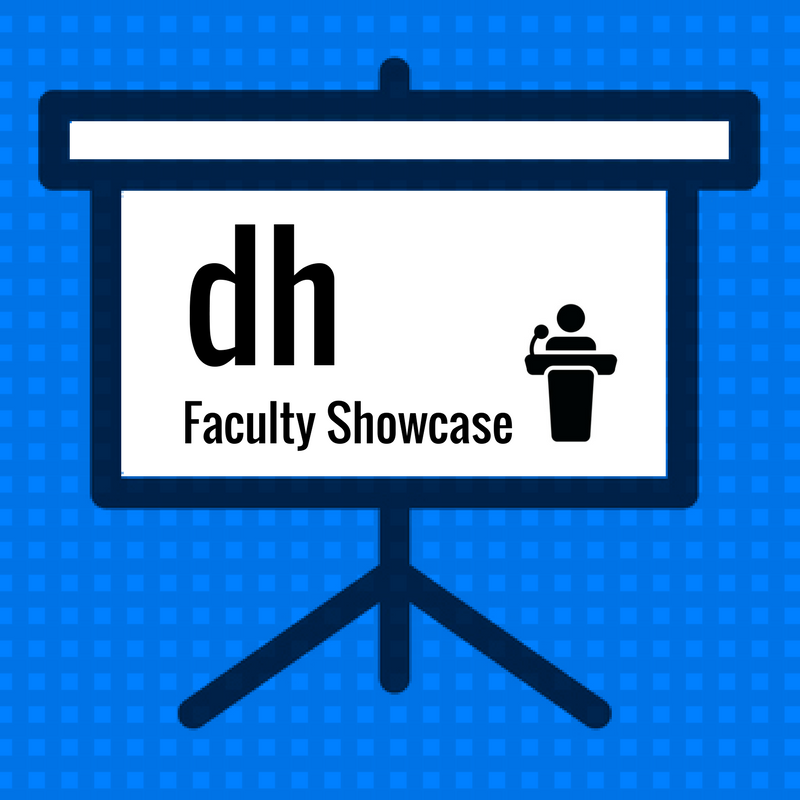 The Teaching, Learning, and Technology Roundtable Faculty Development and Best Practices Committee is pleased to announce the Digital Humanities Faculty Fellows Projects Showcase. The event will take place on Tuesday, December 5, 2017, from 9 am-10:30 am in the Beck Rooms, Walsh Library, and will consist of presentations from seven Faculty Fellows who will discuss their particular area of interest and how it applies to digital humanities. The Faculty Fellows that will be presenting, as well as their topics, are detailed below. In 2003, Dr. Chen developed a web-based program, http://tltc.shu.edu/chen, to target the challenges of learning the Chinese language. This tool facilitates the acquisition of Chinese pronunciation and the writing system for beginners. For over a decade, Dr. Chen and her students, as well as others in the Chinese-learning community, have used this program. While the online program has been functioning well for the instructional purposes, the media files must be updated in order to support mobile learning. Furthermore, copyright considerations will be addressed regarding the integration of existing video clips. The proposed upgrade will be achieved through a collaboration with a graduate student in Asian Studies Program, and the instructional designers at the Teaching, Learning, and Technology Center. The completed product will serve as effective instructional materials for both instructors and learners of Chinese. This project involves transcribing and analyzing the Florentine State Archives records of a tax that was imposed in 1473 on foreign workers in Florence and throughout the 44 jurisdictions of the Florentine state and then using the data produced to compute the average populations of foreign manual laborers in the many parts of the Florentine state, and also to track the locations where these populations were increasing and decreasing within these time periods. Educators face the daunting challenge of fostering meaningful learning (ML) as contrasted with rote learning (RL). Unlike RL, ML enables learners to apply their knowledge to novel situations and supports new learning, creative thinking and problem-solving. Research in learning has shown that ML can only occur when learners integrate new knowledge into existing knowledge structures. Researchers from diverse disciplines have reported that concept mapping by students fosters ML and aids in assessment. This project seeks to utilize digital concept mapping tools to design instruction and to explore their utility in fostering and assessing ML. A data-driven understanding of modern supply chain networks is critical in today’s world in order to continue to develop and enhance supply chains of the future. This research examines the link between network structure and financial performance using panel data from a sample of supply networks across various industries. The work is part of an award-winning ongoing initiative at Seton Hall University and represents an example of faculty-driven student collaboration. The research enables us to create a visual map of any publicly traded company’s supply chain. The visual map can then be used to identify the supply chain’s structure as well as explore its evolution. By developing a repository of supply networks, we are able to compare structures and examine how network topology impacts financial performance. This knowledge will help provide insight into customer behavior and preferences as well as how key supply chains select and build their supplier base. This project utilizes unique, relevant ways of curating art and music related to Dante’s Commedia, via digital multimedia applications, to enrich the course Journey of Transformation. Media include fine art, videos, PowerPoint presentations, interactive astronomy graphics, and music recordings. All work will be achievable, uploadable, defined by a URL, and would represent a facet of student learning. Through digital media presentations, students demonstrate what they have learned in a 360˚ way and round out their awareness of Dante’s art as part of a tradition instead of a required text for a required class. “Layered Chiffon” is a visual art installation of interactive objects that will provide a non-linear narrative. It is also an example of how the studio arts fit within the digital humanities. The visual nature of the sculptural art forms, storytelling through an implied narrative or non-linear narrative (through animations and film), and a deviation from traditional data visualizations make this a unique approach to digital humanities research. This project is also a collaboration between Susan Reiser, lecturer in the Departments of Computer Science, Engineering, and New Media and Associate Dean of Natural Sciences at UNC Asheville. The workflow will also be able to be broken down into smaller units of exploration. The installation is meant to be accessible, and the goal would be to present it to the SHU community in a visible and interactive way. To register, view this event on the University’s events calendar page.